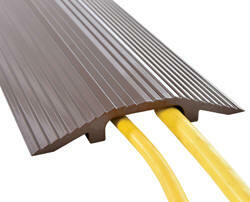 Designed to protect cables and hoses from pedestrian and rolling traffic. The top surface of each crossover includes serrations for extra traction. Optional connectors may be used to interlock individual units together to form wider crossovers. Simply lock together as many units as required. 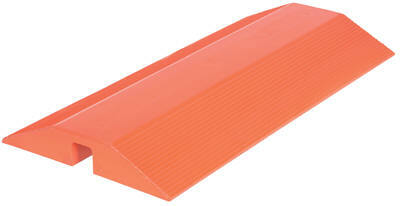 Model MRBR-24 has carry handles molded into the ramp. Fits over cables to protect hoses from punctures and kinks. Series RHCB is a ideal for people who are always switching out cables but do not want to move the ramp. The model RHCB-A features an aluminum treadplate insert to protect hoses and cables (for light traffic and slow applications only). 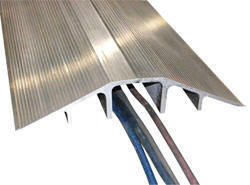 Protect hoses and cables from everyday foot traffic. Handles loads up to 100 PSI (2,400 lbs.) with less than 10% deflection. Constructed of durable urethane material with traction cleats on top surface to prevent slippage (for light traffic and slow applications only). 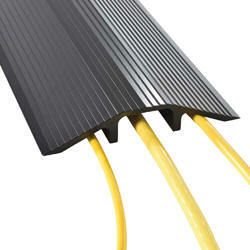 Designed to protect cables and hoses from pedestrian and rolling traffic. Heavy duty aluminum construction is durable and attractive. Top surface of each bridge includes serrations for better traction. Models with color finishes include a baked-in powder-coat for added toughness. Contact factory for special lengths up to 25 feet. Designed to protect hose and cable from roll-over damage. Ideal for office and pedestrian applications. Interlocking design connects units for longer lengths. 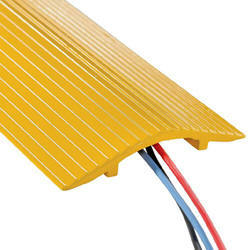 Top surface of ramp features anti-slip traction design. 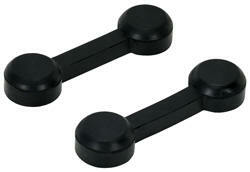 Manufactured from black molded rubber. This product works well for temporary wire/cord protection from vehicles. The fast and easy way to guard and protect valuable electrical cables and hose lines from damage and abuse while providing a method of safe crossing for vehicle and pedestrian traffic. Three channel design is ideal for construction sites, sporting events, and warehouses. Constructed of synthetic rubber with a yellow plastic lid. 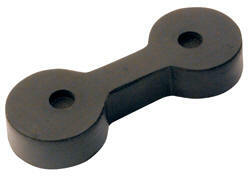 Ends include interlocking tabs for creating longer assemblies. Left and right section ends are at 22-1/2 degree. (4) left or (4) right sections joined together form a 90 degree turn. Maximum weight loading capacity is 20,000 lbs. (W x L x H) Wt.